But without an initial investment to fund the design — and the ability to scale — many of these products and solutions never become a reality. At Cisco, we identify and invest in early stage, scalable technology solutions that address some of the world’s most significant societal and environmental issues. Our partnerships with nonprofit and non-governmental organizations (NGOs) accelerate global problem solving, creating new and better opportunities for people through digitization and technology. As part of CARE’s Scale X Design Accelerator, we advanced our efforts and invested in one such idea, awarding US$50,000 to CARE India’s Teaching Resource Labs (TRL). Like the Cisco Networking Academy, which trains students and instructors in networking technology around the world, TRL builds teachers’ capacities in STEM, enabling them to provide students with engaging, hands-on learning. In India, where a lack of resources and the gender gap in the IT field make it difficult for women to reach their full potential, a program like TRL can help transform lives and the country’s economy. CARE, a Cisco community partner, works around the globe to save lives, defeat poverty, and achieve social justice through various investments and programs. Their Scale X Design Accelerator supports teams to design, test, iterate and scale ideas; groups receive funding, skills, and mentoring to turn their concepts into scaling, impactful solutions. The annual program culminates in the Scale X Design Challenge, where I had the privilege to represent Cisco and serve as a judge. Alongside other industry professionals, I watched and listened to pitches from a handful of global teams, whose ideas aim to solve a specific societal problem. 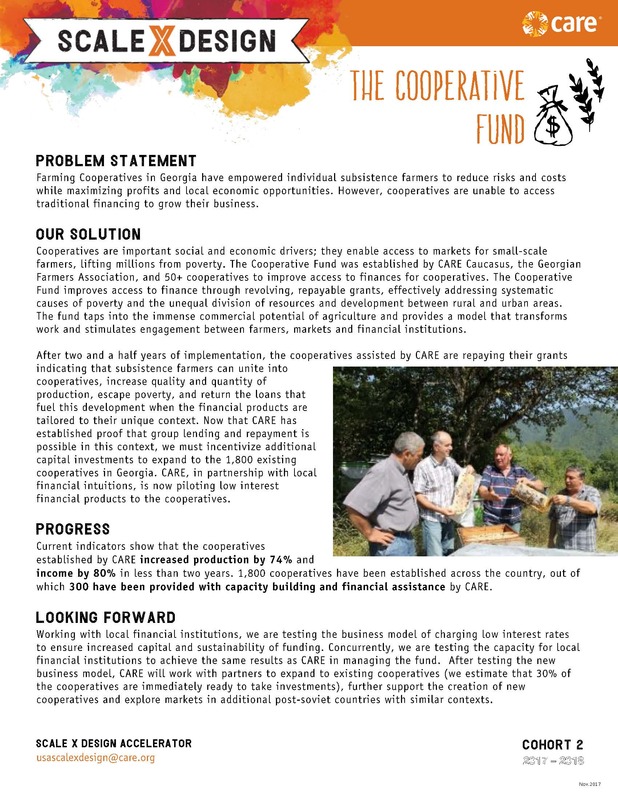 CARE Georgia’s The Cooperative Fund, which gives rural farmers access to financing and the opportunity to grow their businesses, took home the Scale X Design Challenge grand prize of US$75,000. 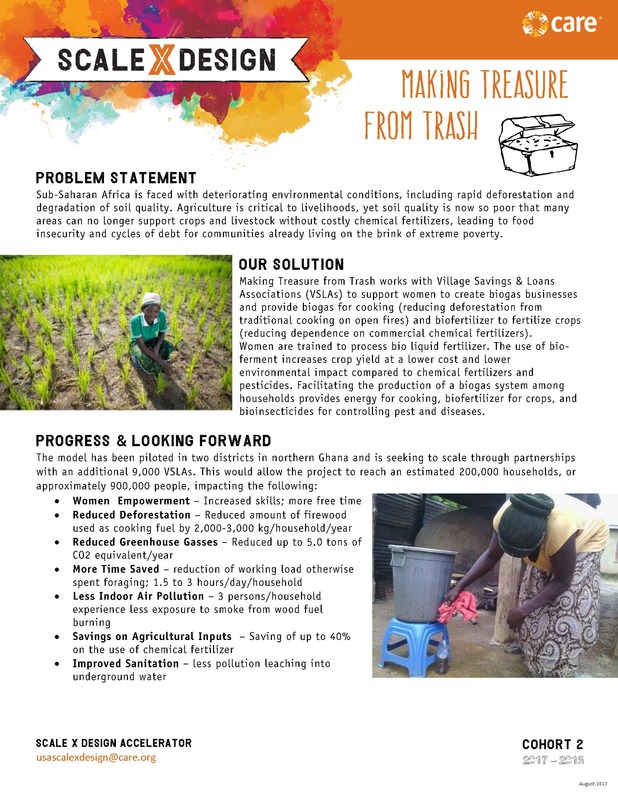 Making Treasure from Trash, a CARE Ghana initiative to empower more female farmers through agricultural innovations, won the audience prize of US$25,000. Much as we are helping CARE digitize its successful Village Savings and Loan Association (VSLA) initiative, we’re excited to support Teaching Resource Labs’ efforts to scale and create their own positive impact. With our grant and the support of other corporations, governments, and institutions, TRL hopes to someday reach 150,000 teachers and 15 million students in India. If you’d like to learn more about our support for nonprofits and innovators like Teaching Resource Labs, please visit our Corporate Social Responsibility website.